I love food but I am not that adventurous in trying new cuisines. 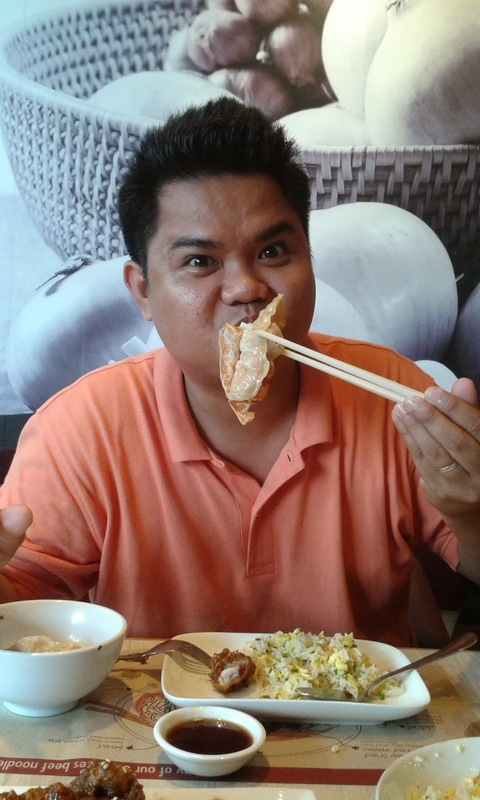 I am just so used to the usual Filipino, Chinese and Italian specialties. I am not even a fan of Japanese treats. 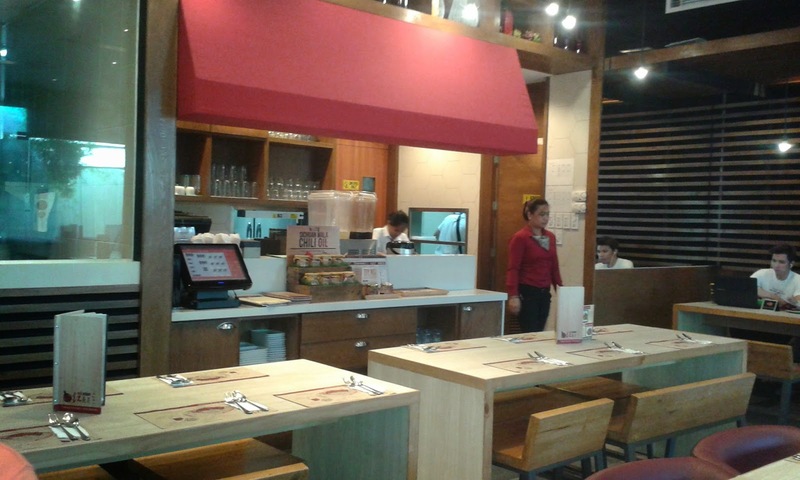 So when I read about good reviews about this Thai resto in UP Town Center, I got really curious. Thus, my husband and I decided to try it out. 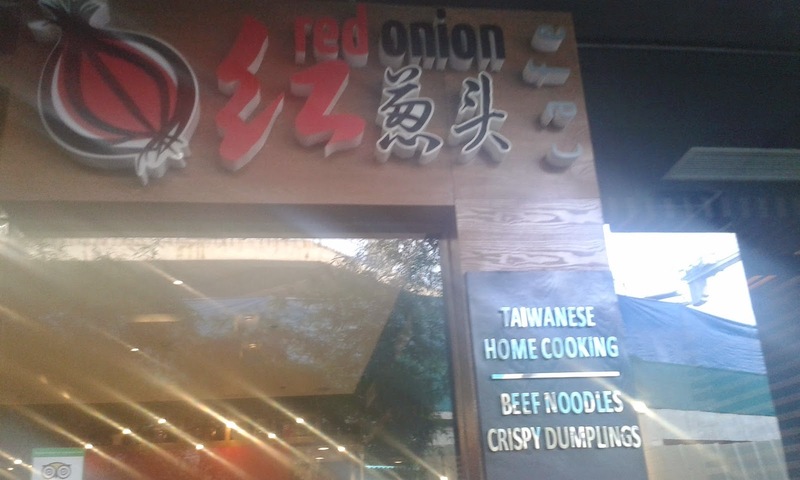 Red Onion is located at the L/G floor of UP Town Center somewhere at the back. Once you enter the main entrance, it is on the right side. We were greeted by very friendly staff and manager. It was around 3 in the afternoon when we visited and the lunch time crowd has already left. We started with their specialty, 39 spices beef noodles. It was where you can choose what type of noodles, stock and meat you want. Since I am not fond of spicy food, we requested ours to have the regular stock. 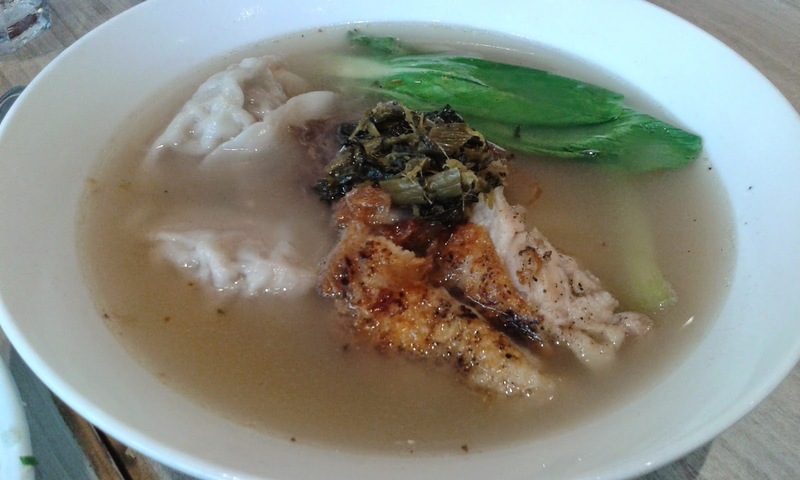 It is very flavorful and this is a must-try when you visit them. 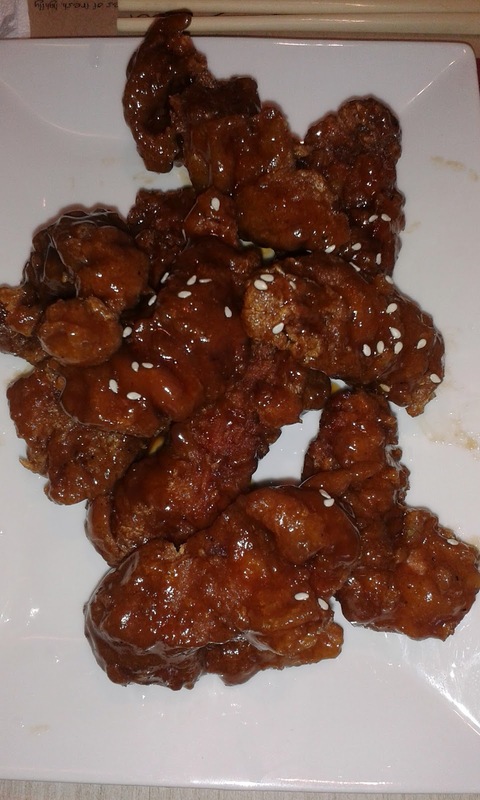 This is my favorite at Red Onion, Crispy Pork Sweet and Sour. It is so yummy and I do not want to elaborate more but you should order this. 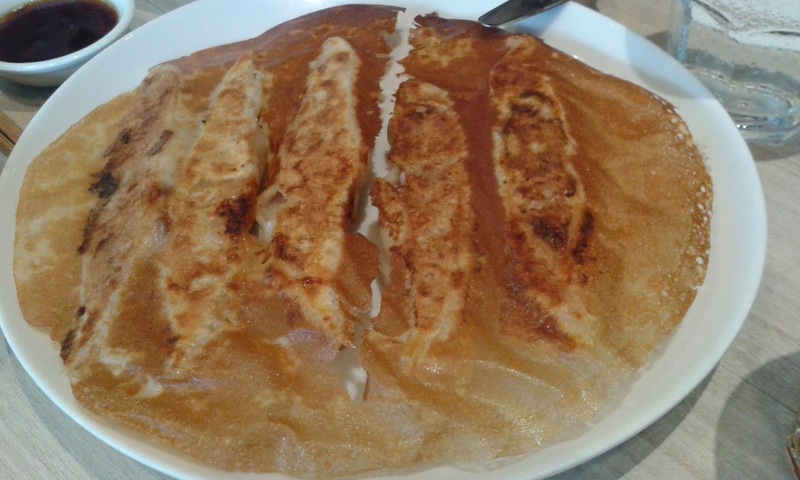 We also tried the crispy dumpling. It was both steamed and fried. 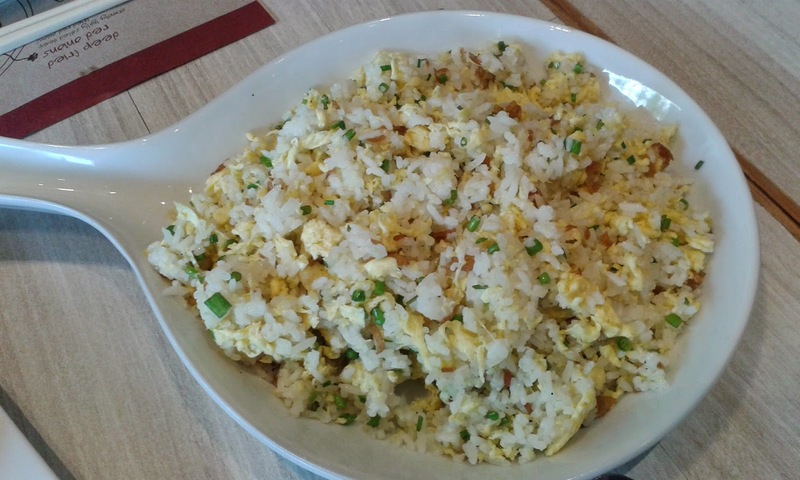 We also loved their House Fried Rice. One serving is good for 2 persons. When I say 2 persons, it means persons who loves rice. Another attraction is that their robot who cuts the noodles. Kids would be excited to watch it. 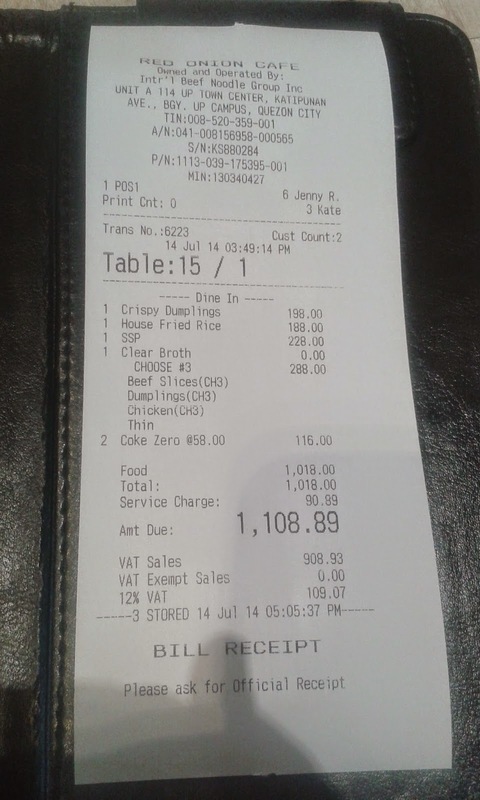 Are you wondering how much was our bill inclusive of drinks? Are we coming back again? Ofcourse!